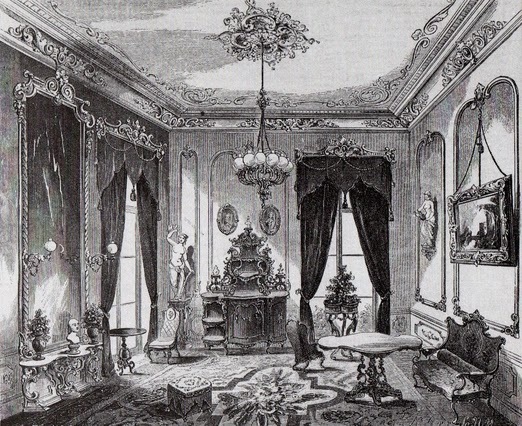 Mrs. Pegu, and drawing-room, are all laid out in state to receive New Year’s calls. Thirty-two young gentlemen make a brief appearance at the door, and recite the following shibboleth: “How d’ye do, Mrs. Pegu. Happy New Year. Can’t stay a minute. Made seventy-six calls this morning; got thirty more to make. Adoo! Adoo!” The young gentlemen vanish, to be succeeded by others. “There is a singular custom, which prevails in New-York, but, I am informed, in no other part of the Union: on New-year’s Day, all gentlemen call on their female friends, to renew or perpetuate their friendship.” The Reverend Isaac Fidler, Observations on professions, literature, manners, and emigration in the United States and Canada Made During a Residence There in 1832, 1833. America’s first president was charmed by this New York tradition, which he first experienced in 1790. See more about the Washingtons’ time in New York City here. The tradition, which had its roots in the Dutch colony of New Amsterdam, evolved over the years (and even expanded to other cities). 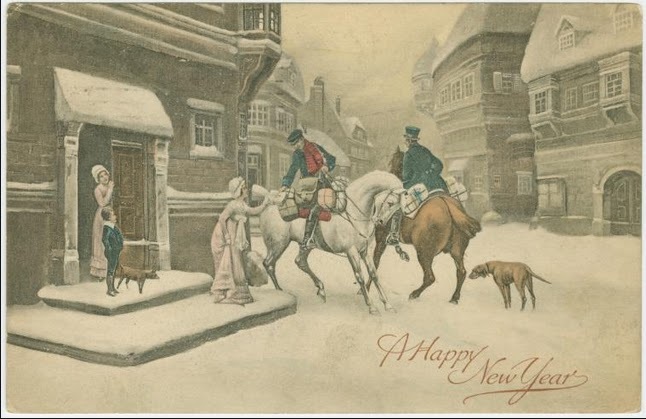 By the mid 19th century, as the above Harper’s Weekly illustration shows, the tradition of the New Year’s Day call had amped-up to such a degree that it required a kind of speed-calling by those who took the rounds by carriage to pay the requisite calls. The calls lasted all day, usually concluding by 9pm. The winter holidays or Christmas season in Dutch New York occupied some two or three weeks, and, commonly, all public business was suspended until the hilarity was over. The Christmas festival . . . was particularly distinguished by boisterous revels, and great men became trifling and frolicsome. But New-Year’s-day was quite another affair. Dignity was everywhere observable. 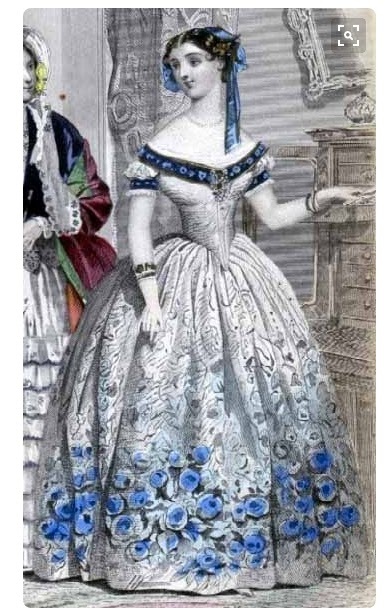 Ladies were never to be seen in the streets; they were in their decorated homes, in the richest of apparel, welcoming the chief magnates of the colony with stately courtesy and becoming grace. The French and English who subsequently settled in New York fell in with the established custom, and soon became more devoted to its agreeable exactions than even the Dutch themselves. No gentleman of that early school, who esteemed himself eligible to good society, ever thought of omitting to visit his lady acquaintances on the first day of the year; and in the mean time the English habit of making presents on New-Year’s-day instead of Christmas was adopted by the Dutch. During this significant holiday, the gentlemen of the city arrived at the homes of their friends with their cards in hand. The calling cards were passed to a servant or deposited in a silver tray near the home’s entrance. The women at home often had alerted callers that they would indeed by “at home” on New Year’s Day. A lady who expects to have many calls, and who wishes to offer refreshments, should have hot tea and coffee and a bowl of punch on a convenient table; or, better still, a silver kettle filled with bouillon standing in the hall, so that a gentleman coming in or going out can take a cup of it unsolicited.. . . Of course, her “grand spread” can be as gorgeous as she pleases. Hot oysters, salads, boned turkey, quail, and hot terrapin, with wines ad libitum,* are offered by the wealthy; but this is a difficult table to keep in order when ten men call at one o’clock, and forty at four, and none between. The best table is one which is furnished with boned turkey, jellied tongues, and pates, sandwiches, and similar dishes, with cake and fruit as decorative additions. The modern and admirable adjunct of a spirit-lamp under a teakettle keeps the bouillon, tea, and coffee always hot, and these, with the teacups necessary to serve them, should be on a small table at one side. A maid-servant, neatly dressed, should be in constant attendance on this table, and a manservant or two will be needed to attend the door and to wait at table. The man at the door should have a silver tray or card-basket in which to receive the cards of visitors. 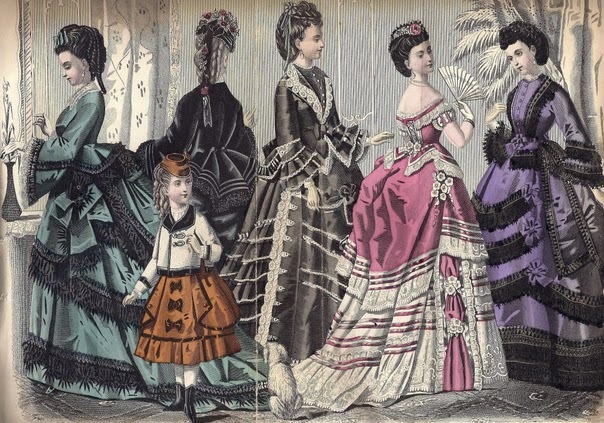 If a gentleman is not known to the lady of the house, he sends in his card; otherwise he leaves it with the waiter, who deposits it in some receptacle where it should be kept until the lady has leisure to examine the cards of all her guests. 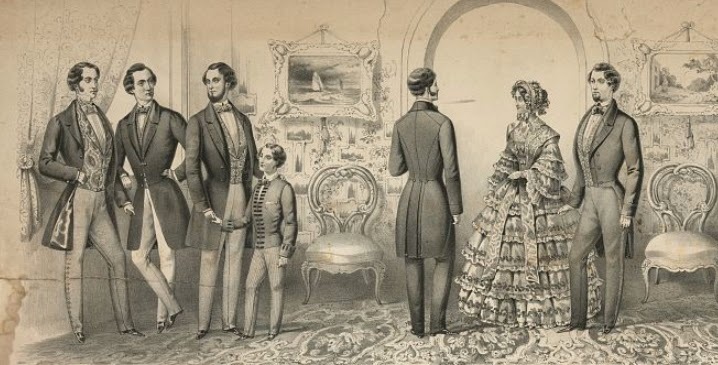 If a gentleman is calling on a young lady, and is not known to the hostess, he sends in his card to the former, who presents him to the hostess and to all the ladies present. If the room is full, an introduction to the hostess only is necessary. If the room is comparatively empty, it is much kinder to present a gentleman to each lady, as it tends to make conversation general. As a guest is about to depart, he should be invited to take some refreshment, and be conducted towards the dining-room for that purpose. This hospitality should never be urged, as man is a creature who dines, and is seldom willing to allow a luncheon to spoil a dinner. In a country neighborhood, however, or after a long walk, a visitor is almost always glad to break his fast and enjoy a pickled oyster, a sandwich, or a cup of bouillon. The gentlemen caller had to be handled gingerly lest he violate protocol and do something gauche such as stay too long or talk too much. Women were instructed that they should not ask men to take off their coats or hats, and they should only be offered something to eat or drink only when they were about ready to depart. As for topics of conversation, the weather was viewed as among the most amiable. 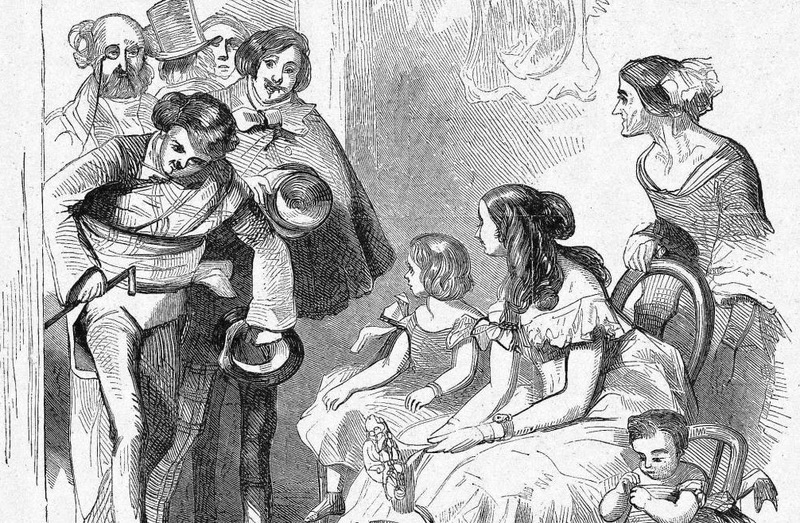 Parlor Games: Please Behave Like Gentlemen! 1855, LOC. All the ladies we called on, as is universally the case, had prepared cakes, sweetmeats, wines, cordials, &c, in great profusion, in readiness to exhilarate and regale their visitors. They were themselves, in general, very elegantly decked out and beautified. All appearance of mercenary business was wholly laid aside, and calculating penury had its annual slumber. Many gentlemen jaunted about in sleighs, a kind of carriage which slides upon the snow, to pay their devotions to the fair recluses; ladies on this day not being permitted, from punctilios of etiquette, to stray from home. The scene to me was as gratifying as it was new. All was animation, cheerfulness, and friendly feeling. The Americans seem, on this occasion, to have light hearts and buoyant spirits, and fulfil as much as any nation the command, ” Take no thought for the morrow.” Thus some traits in their character are extremely pleasing to a foreigner. This was the only occasion, on which I saw the bright side of American sociability. In the midst of this joyous and festive gaiety, my fancy whispered, that the Americans are really a pleasant people. By the late 19th century, many were the problems faced by those who called and were called upon. The habit of calling had changed and some young ladies now had the nerve to leave their homes on the day, leaving a basket tied to the doorknob to serve as a receptacle for the calling cards of the gentlemen! But, to be fair, it was the men’s fault, since some had lapsed into casual behavior and failed to show at the homes of ladies who sat glumly waiting for no one to come. Soon, the New Year would be celebrated more on the eve of the holiday. Hosting a party or going out on the town to dine would become de riguer. But for many years the New Year’s Day custom of calling was a delightful expression of city dwellers in the throes of celebration and forward-looking to the New Year. "New Year's Day in New York"
Have you ever passed a New Year’s day in New York? If you have not, perhaps you would like to accompany me in my calls. We must start early, and take our list; containing the names of those we intend visiting, arranged in the most convenient routine of their residences. Many of them, business and other causes have prevented our meeting since last New Year. The first we call upon, is Miss Newton. She is a pretty affected girl, living in great splendor. The table in the back parlor is loaded with the luxuries of the season— oysters, turkey, wine, cordials, coffee, and confectionary, tempt every variety of taste. For this day the young lady has thrown off her airs, and each guest quits the house resolved to call again. The next place is old Mrs. Van Pelt’s. The daughters are all married and settled, her husband is dead, yet here sits the old vrow* ready to welcome her friends as warmly as in younger and happier years. Her table presents a striking contrast to the preceding one. 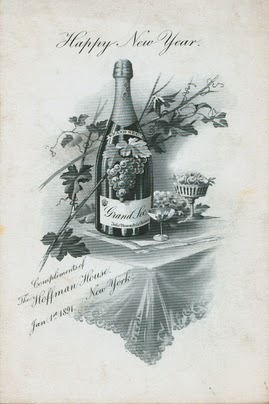 Here, too, is cake and wine; but in the center stands a large silver urn, containing hot rum, which an old Knickerbocker thinks indispensable in dispensing the hospitalities of New Year’s Day. On a side-table reposes in great state, a large New Year’s cake. Now, if any of my readers are not aware what New Year cookies are, I pity them from my heart. In truth, poor ignorant reader! so much do 1 commiserate you, that I would fain enlighten you upon the subject of New Year cookies, if it were not a very busy day, and I have scarcely time to eat one, much less tell you how they are made. The next visit is to the bride, Mrs. Charlton. Her house is crowded with visitors, all anxious to wish her a happy New Year. The next is on the Misses Maxwell’s, who have been on rather cool terms with our family. The gentlemen call, and then they will have no excuse for continuing these distant feelings of friendship. Then follow some dozens more of friends and acquaintances. Night overtakes us still performing duty. Not one gloomy face have we seen this day. *Vrow: Dutch, a woman, usually married.